“There was only one answer “Falmouth!” I responded. 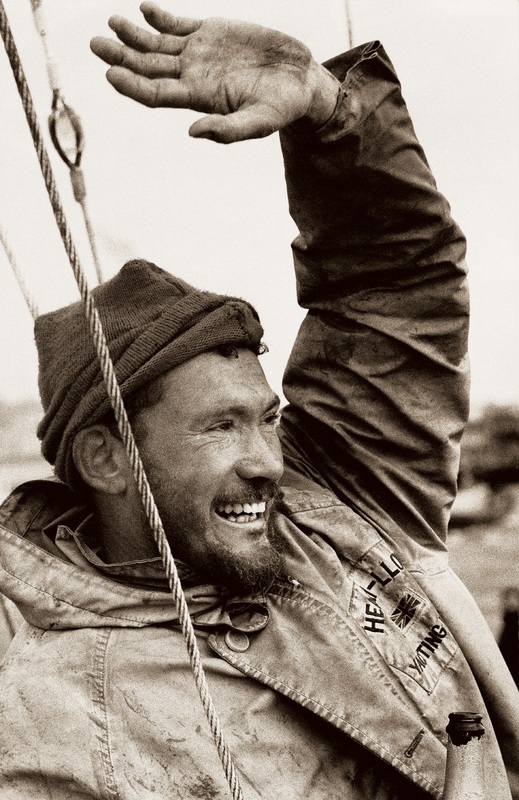 Nine sailors started the Golden Globe race; and amidst various retirements and boat breakages plus the well-documented loss at sea of Donald Crowhurst (Robin ended up donating his £5,000 prize money to a fund supporting Crowhurst's family) Sir Robin Knox was the only entrant to complete it. 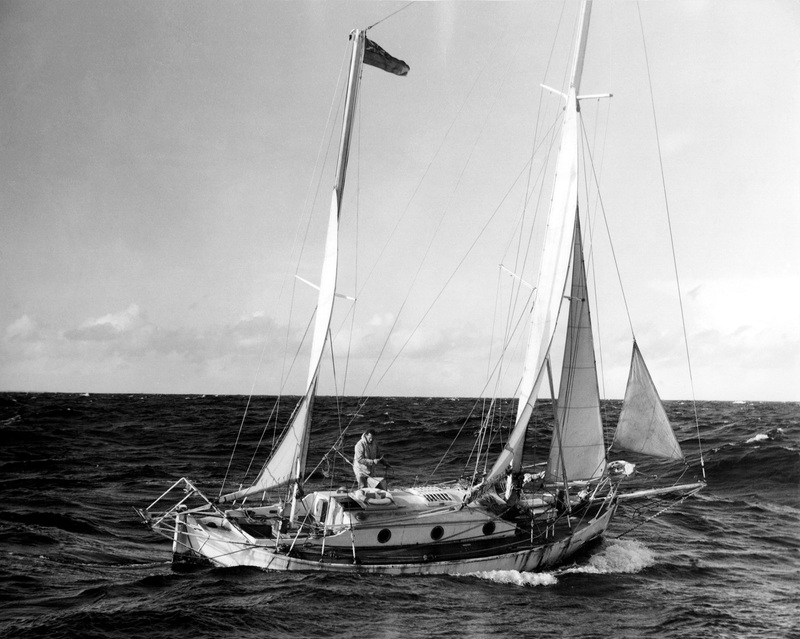 The 30,000 mile voyage in his sturdy 32ft yacht Suhaili took 312 days, and Sir Robin returned to Falmouth on April 22 1969 as a modern hero, with his achievement remaining one of the most significant small boat sailing achievements in history. 14 June, 2018, marks the 50th anniversary of the day Sir Robin departed from Falmouth on his now historic voyage and to celebrate this achievement a special ‘Suhaili Falmouth 50 Parade of Sail’ is set to take place. The three-day commemorative event, organised by the Falmouth Town Team and the Royal Cornwall Yacht Club promises to be quite a spectacle. Sir Robin will sail in to Falmouth aboard Suhaili on Monday 11th June, joined by two other historic solo circumnavigators, Sir Francis Chichester’s Gipsy Moth IV, and Sir Alec Rose’s Lively Lady, together with the entire fleet of yachts and skippers who are preparing to take part in a 50th anniversary race, established in tribute to Sir Robin’s historic voyage. The 2018 Golden Globe Race is set to start on 1 July 2018 from Les Sables-d’Olonne, France. In contrast to the current professional world of elite ocean racing, this tribute race is designed to celebrate the ‘Golden Age’ of solo sailing. A solo, non-stop around the world race, via the five Great Capes. 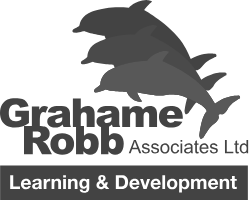 returning to Les Sables-d’Olonne, entrants will be limited to sailing similar yachts and equipment to what was available to Sir Robin. The challenge is pure and very raw. Competitors will be navigating with sextant on paper charts, without electronic instruments or autopilots. They will hand-write their logs and determine the weather for themselves. Only occasionally will they talk to loved ones and the outside world when long-range high frequency and ham radios allow. It is now possible to race a monohull solo around the world in under 80 days, but sailors entered in this race will spend around 300 days at sea in little boats, challenging themselves and each other.